USE Adjustable telescoping restraint with tie-rods. Ideal for systems that require periodic maintenance, the DJ400 can be adjusted to length to allow access for installation or removal of valves and other equipment. SIZES 3" - 72". Larger sizes available upon request. WORKING PRESSURE Up to the maximum rating of the flange. See submittals. END RING AND BODY See product submittals. GASKETS Compounded for water and sewer service meeting the requirements of ASTM D 2000. Other compounds available on request. BOLTS AND NUTS ASTM A588 HSLA bolt material. 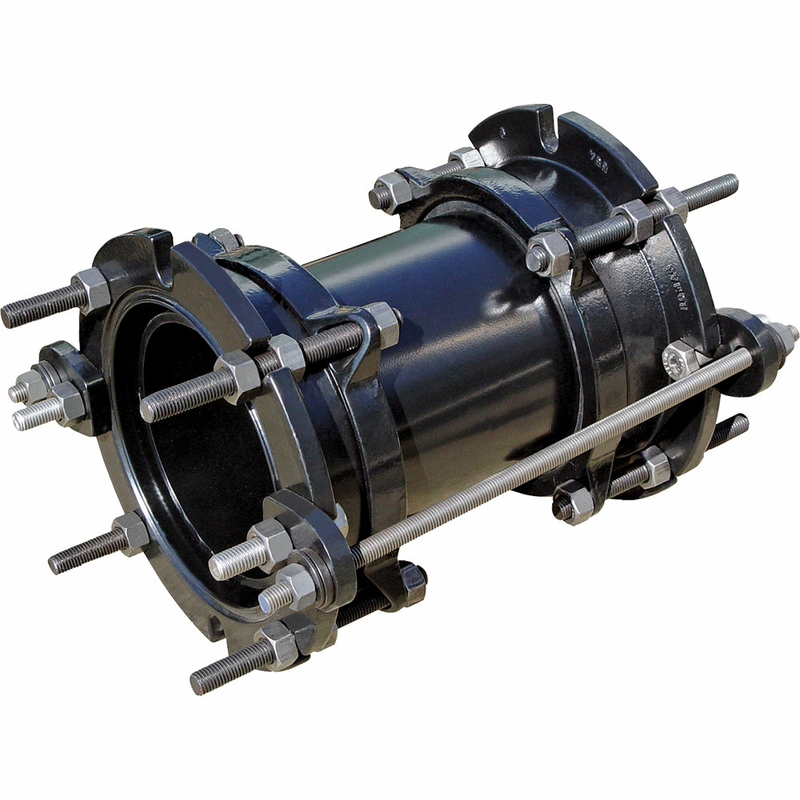 Ten inch uses a ductile iron through bolts per ASTM A536 with HSLA heavy hex nuts. Stainless Steel, Types 304 or 316 is optional. COATINGS Fusion bonded epoxy, NSF 61 certified. 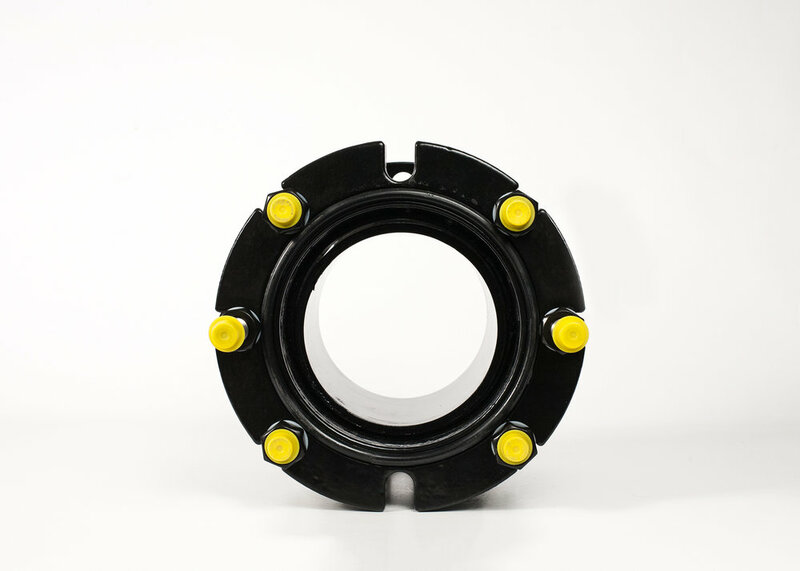 All surfaces are coated, including flange faces.